Want a Pro Elite Wireless Controller for your PS3? Here it is, the last contest of the month. 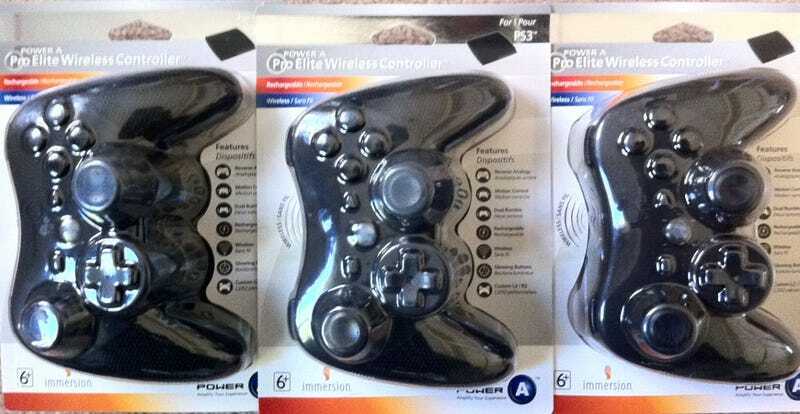 We're giving away a Pro Elite Wireless PS3 Controller from Power A to three readers. The controllers have reverse analogs, motion control, dual rumble, glowing buttons, custom L2 and R2 triggers and are rechargeable. We'll be drawing the three names on Monday, November 1. To enter you just need to sign up for our newsletter. Sure, you can unsign up right afterwards, but no promises you won't be missing out on future contests. Sign up for our newsletter to be entered in the contest here. If you're already signed up, you're already entered. Don't forget, we'll also be drawing winners for the Call of Duty contest and LEGO Wii remote contest from our newsletter readers. Good luck!